Band of The Month At Black Rose Radio! 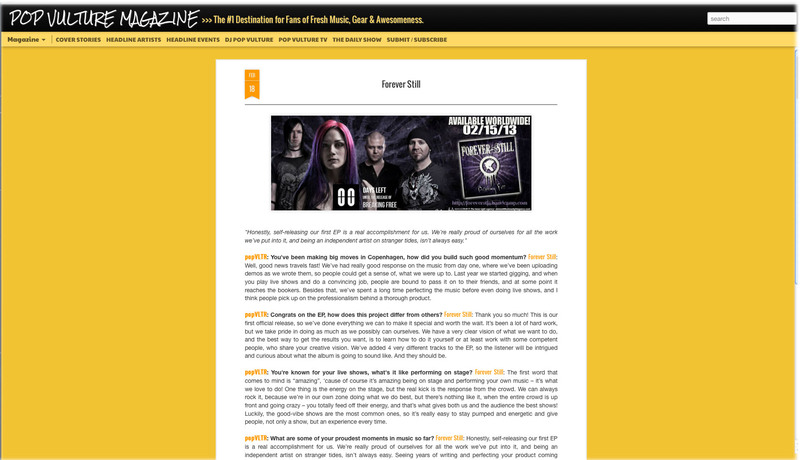 We are band of the month at Black Rose Radio check it out! 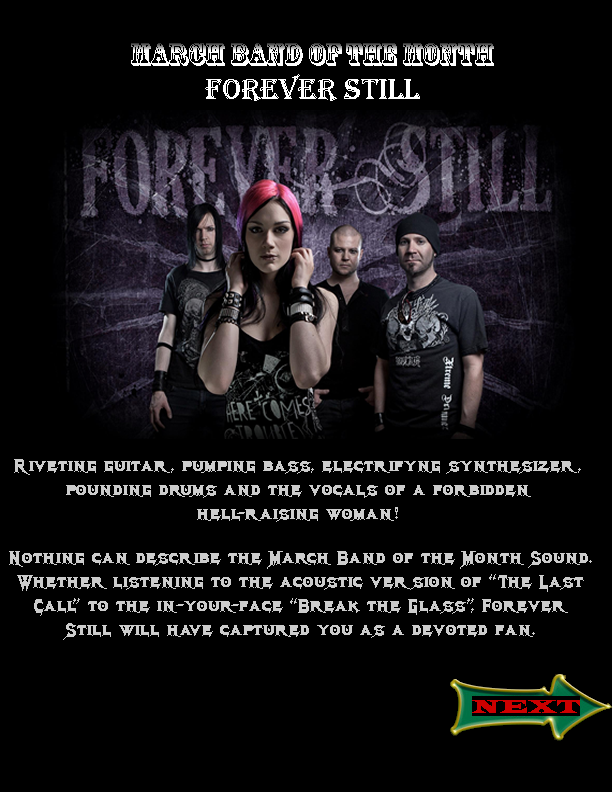 Forever Still Is Headline artist in Pop Vulture Magazine!! We’re a headline artist in Pop Vulture Magazine!! Check out their interview with Maja!